La’arni Ayuma is a holistic practitioner and founder of Ayuma Healing Arts. 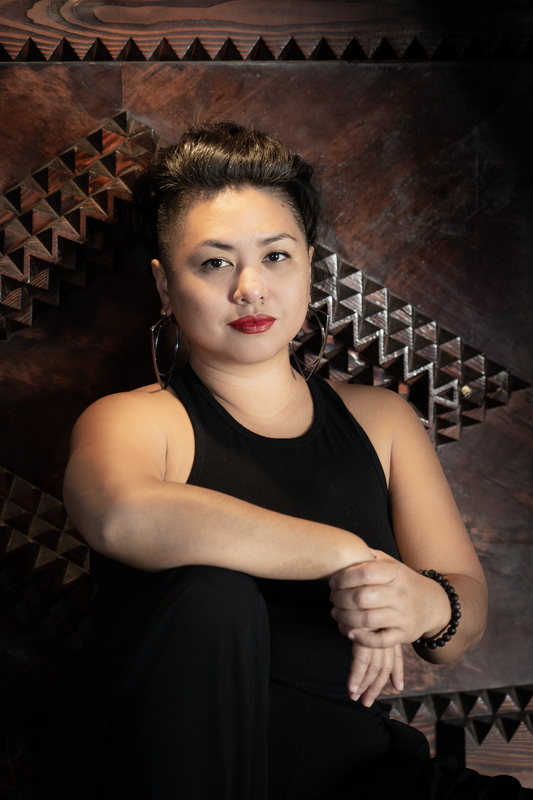 As a queer Filipina-American, she bridges the ancient Philippine healing wisdom with western training as she continues to work on healing the narrative. ​She utilizes Intuitive Counseling, Hilot medicine and bodywork, holistic living, healing by and with nature, conscious parenting, mindfulness practice, movement, meditation, pediatric and couples Hilot healing touch education, and other tools to promote a compassionate radical healing that is self-sustaining. This allows for the continuation of the healing work beyond the sessions. Her goal is to support her clients as they navigate their narrative and help create concrete ways that will allow them to move into their growth and transformation. She has been in a spirit-led “Healing Tour” since 2015 and continues to visit with, learn from and gather with elders, teachers, practitioners and seekers. Her travels have made her a better human and enriched the lives of her family. She is a mother and student to three magical beings who continue to ground and teach her about life, love and truth. Ayuma, a 21 year old talented artist and musician, Ayo​, a free-spirited 7 year old creator and Kalí, a 3 year old dancer and explorer.